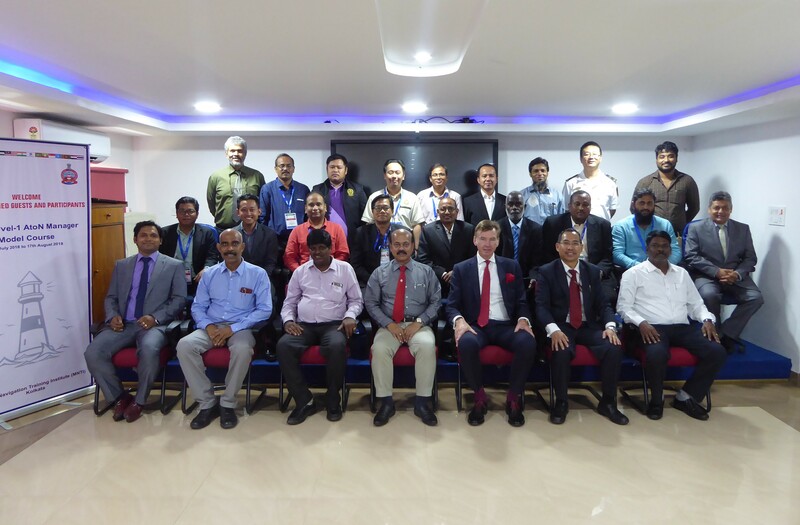 The first “Level 1” AtoN manager course in India was delivered by the Marine Navigation Training Institute (MNTI) based in Kolkata from 23rd July to 17th August 2018 using expert lecturers including the six IALA World-Wide Academy Alumni who had gained international certificates of competency as Level 1 managers at other ATOs in 2015 and 2016. The IALA Secretary-General and Dean of the IALA World-Wide Academy attended the opening ceremony and delivered the first three lectures in Module One. The Vice Dean of the Academy delivered lectures during Modules Two and Three. Eighteen participants from 12 nations (Bangladesh; China; Fiji ; India; Indonesia; Malaysia; Myanmar; Singapore; Somalia; Sri Lanka; Sudan and Thailand attended with 16 being awarded full international certificates of competency. This brought the total of English-speaking AtoN professionals holding international certificates from full-time Level 1 training to 135. India is expected to deliver its second course in 2019. Details will be published on the IALA website.